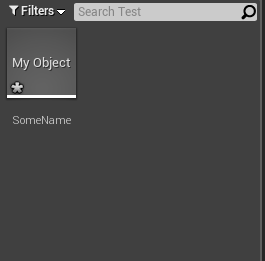 Sometimes when working in UE4, you might want to create instances of your object in the Content Browser as assets that can be saved out to disk, or have custom editors associated with them. 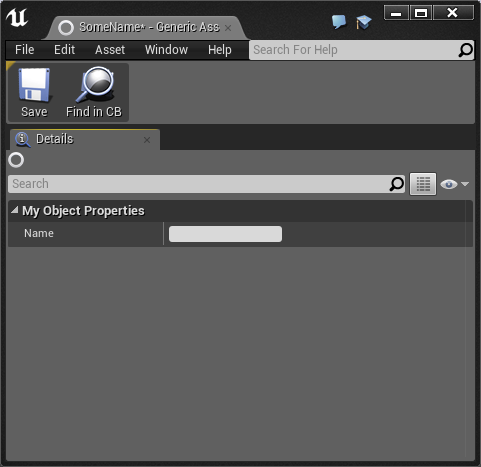 For instance, having your own asset type allows you to create a custom editor UI for it. Editors built into the engine include things such as Blueprint Editor, SoundCue Editor, etc. The process to do this is actually quite simple! All you need to do is create a Factory for your object. SupportedClass = UMyObject::StaticClass(); is the object that we want to create. If you have your own object then replace the UMyObject with that. 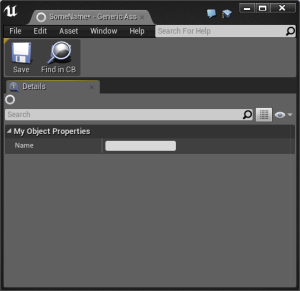 UMyObject* MyObjectAsset = ConstructObject(Class, InParent, Name, Flags | RF_Transactional); is the line that actually constructs the object. You’ll notice that the type of the variable as well as the templated call to ConstructObject. Once again, if you have your own object, then replace these with your class name. You can check out Factory.h for other ways to customize the factory. I’ll touch on some of those in a later blog post. Its important to note that even though you can now edit the properties of the object once you open it (or start implementing your own editor), you need to configure your object to serialize that data out. That is a whole new post as well, another one that I’ll cover in the future. If you want to look into it yourself, check out the Serialize function in other asset types.